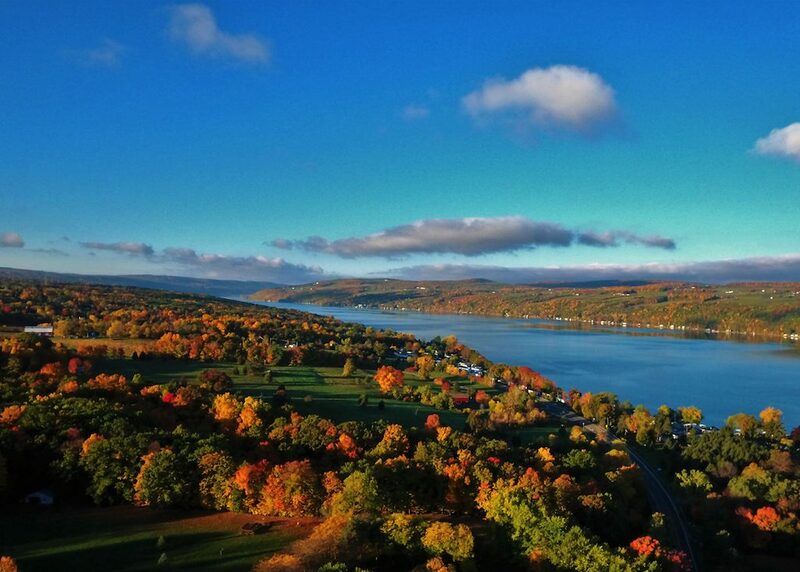 Autumn foliage in Keuka Lake, New York State. Photo by Joe Carroll. Magnificent landscapes have inspired generations of artists, writers, statesmen and even the odd hippy or two to put down roots in New York State. Many of America’s defining movements were born here and it has long been a cradle of creativity. For visitors, this means there is a wealth of things to see and do, all of them good reason to explore beyond the Big Apple. Charming towns lining the Hudson River can easily be reached by Metro North from New York City, while Amtrak trains link the city with other destinations upstate. It’s also the perfect place to motor around, taking the time to stop and enjoy the scenery, shop in attractive little towns and villages, and visit historic houses and museums. New York State grows more apples than any other U.S. state so you can have great fun visiting farmers markets, cider houses and farms where you can pick your own fruit. There is also a flourishing wine and craft beer scene. Four distinct seasons make it the perfect place to visit at any time of year, but it is particularly lovely in the Fall when the autumn foliage puts on a spectacular show. 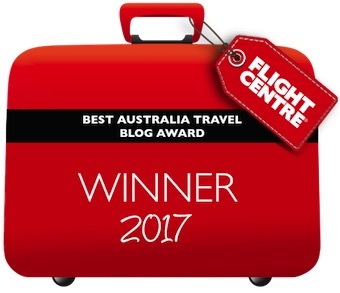 A lot of Aussies might not realize that it is also a popular ski destination in winter. Here are 12 reasons to get out of New York City and go exploring. Put New York State on your travel itinerary and you’ll find many more. The famous Hurricane Deck, on the American side of Niagara Falls. 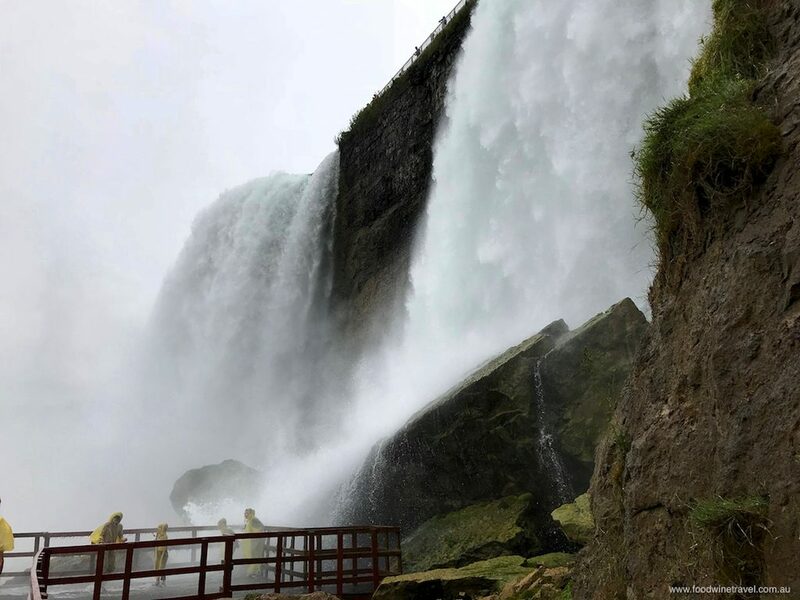 A lot of people think the Falls are better viewed from the Canadian side, but it’s great seeing them from the American side as well, as each offers tremendous views and a different perspective of one of nature’s greatest marvels. There’s much to see and do in Niagara Falls State Park, with a trolley ride linking many of the attractions and vantage points in the 400-acre park. The experience we loved the most was the Cave of the Winds tour. An elevator takes you 53 meters down into the Niagara Gorge, where you kit up in bright yellow ponchos and follow walkways that take you within 6 metres of the thundering torrents of Bridal Veil Falls. Seeing the power of nature at such close quarters is thrilling, especially when you hit the famous “Hurricane Deck”. 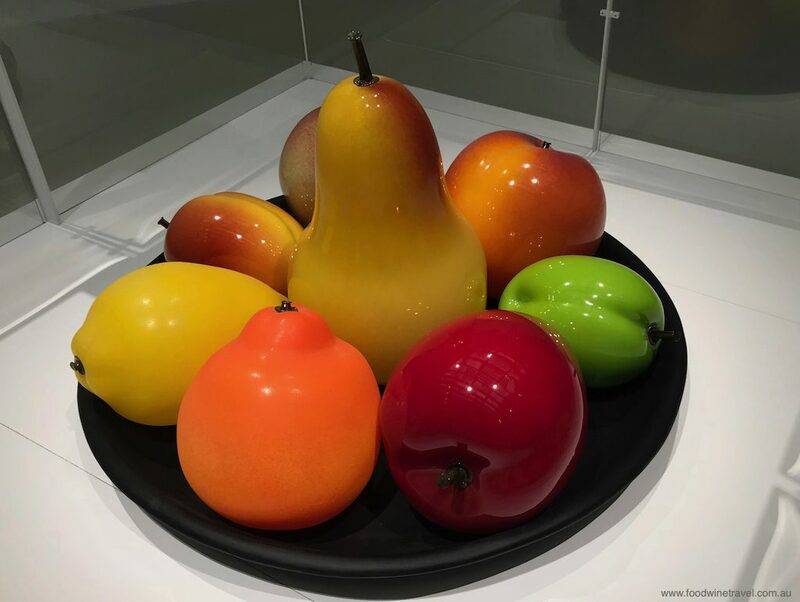 The Corning Museum of Glass displays more than 45,000 glass objects. You might wonder what could be so exciting about a museum about glass, but I can honestly say this is one of the best museums I have ever visited. To find a world-class museum in a small town of just over 10,000 people is even more surprising. Corning is home to Corning Incorporated (formerly Corning Glass Works), which most Aussies would know of as the producer of Corning Ware and the original producer of Pyrex. 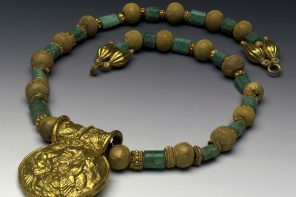 It’s a cute little town with plenty to see and do, but its number one attraction is this museum displaying a breathtaking collection of more than 45,000 glass objects, dating from more than 3,500 years ago to the present day. You can also make your own glass; shop for beautiful glass jewellery, household and decorative items; and spend some time in the café. Allow half a day at least. Dr Konstantin Frank changed the course of wine growing in the Finger Lakes region. One of the country’s top wine producing regions, Finger Lakes is known for its Riesling, Gewürztraminer and Ice Wine. Other notable varieties include Chardonnay, Pinot Noir and Cabernet Franc. Each of the Finger Lakes has a Native American name. Keuka Lake, with its unusual Y shape, means “canoe landing”. Overlooking Keuka, the picturesque Heron Hill Winery has live music on Sundays. Various wine trails surround Seneca, Cayuga, Canandaigua and Keuka lakes and the southern shore of Lake Ontario. Start at the Pleasant Valley Wine Co, also known as Great Western Winery, for a tour of the historic complex and a potted history of the region. Bully Hill Vineyards, founded on the motto “wine with laughter”, has an interesting museum and a lovely shop and café. 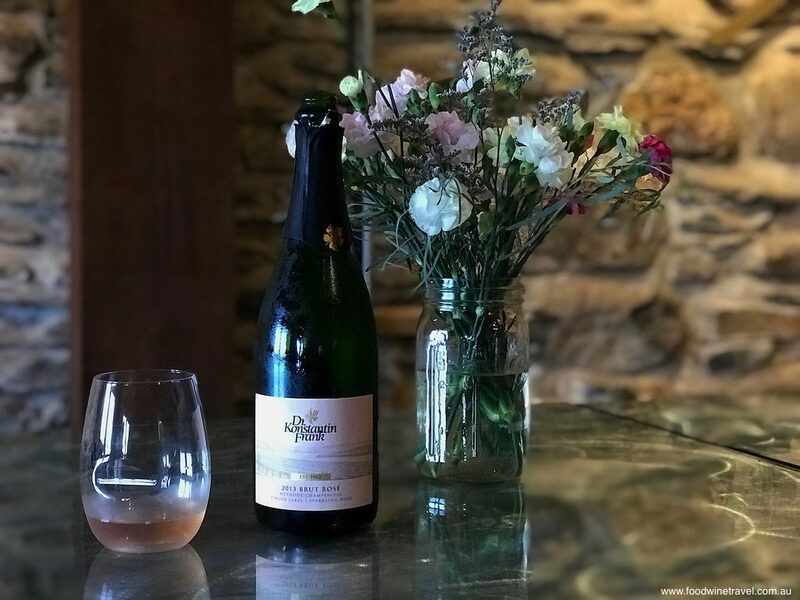 We highly recommend the food and wine matching experience at Dr. Konstantin Frank, the winery that was instrumental in proving vinifera (classic European) grapes could be grown in the cold Finger Lakes. One of the newer wineries on Keuka Lake is Weis Vineyards, which is making exceptional German-style wines, sold from an 1887 schoolhouse. Finger Lakes also has a Beer Trail with more than 100 microbreweries and brewpubs, and a Craft Your Adventure Beverage Trail with craft breweries, cideries and distilleries. Parkview Restaurant and Inn, Owego, on the Haunted History Trail. 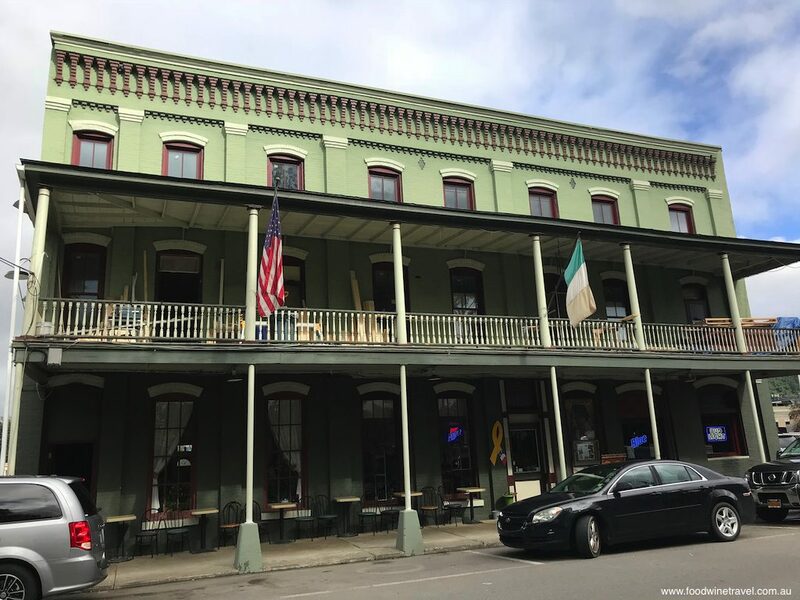 The sound of objects moving around on the second floor and a mysterious chiming dinner bell are just some of the paranormal activity at Parkview Restaurant and Inn, Owego. Beth and Mark Johnson bought the historic pub in 2011, and during the renovations Beth discovered a whole room that had been completely sealed off for 40 years after a small fire. Parkview is one of more than 65 locations on the Haunted History Trail, said to be the only statewide paranormal tourism program in the United States. Many of the locations have been featured on TV. Visitors can look for ghosts in hotels, restaurants, parks and historical attractions. They can even take a meal in an old jail cell. Spend the night, if you dare, at some of the bed & breakfast stops, where you can mingle with guests who may never have checked out. It’s 50 years since Woodstock, the festival that defined a generation. Fifty years ago, the music festival that defined a generation was held on a dairy farm in the Catskill Mountains in New York State. Although the 1969 Woodstock Festival was originally planned to be in Woodstock, it was actually held on Max Yasgur’s farm 60 miles away, with more than 500,000 people rocking up over three days. 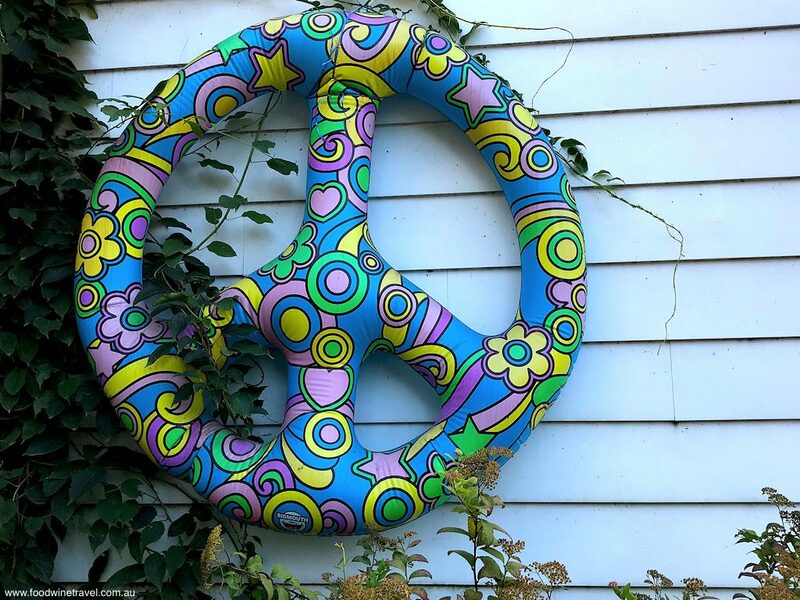 In a period of great unrest (when the U.S. was deep in controversy over the Vietnam War and the civil rights movement), Woodstock spread a message of unity and peace. Visiting the Great Lawn where the festival took place is an almost spiritual experience, made even better for me when I ran into a bloke who had been at the festival and reminisced wistfully. The nearby Bethel Woods Center for the Arts holds concerts, events, festivals and exhibitions. The Woodstock and the Sixties exhibit in the Museum at Bethel Woods is brilliantly displayed and you can watch footage from the festival in the museum theatre. No drugs needed to come out of here feeling on a high. Revitalize the mind and body at YO1 Wellness Center. This gorgeous new spa resort offers a complete rejuvenation of mind, body and soul. Located on 1,300 acres of forest in the Catskills, it overlooks a beautiful lake and has 131 guest rooms, 49 of them suites with their own therapy rooms. 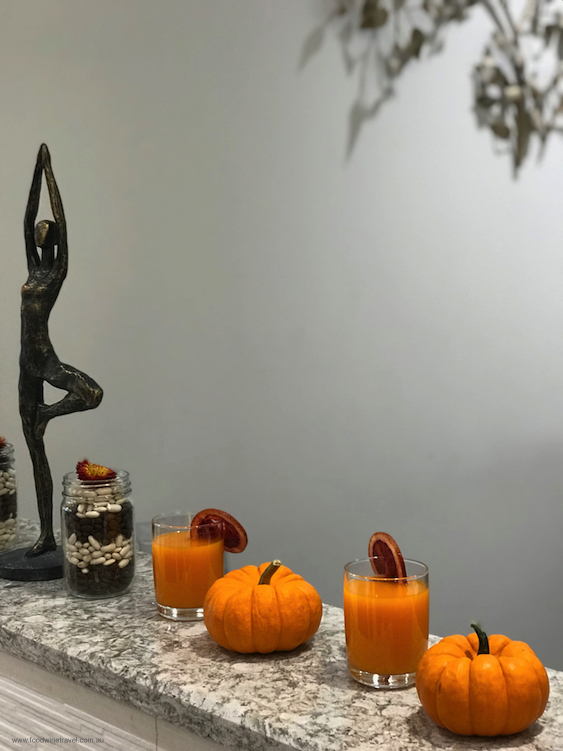 Guests can visit for the day or stay overnight to make use of all the facilities, which include a hydrotherapy pool, mud therapy room, fitness centre, and a restaurant serving beautiful, healthy food. The centre promotes holistic Indian healing therapies through Ayurveda, naturopathy and yoga. Guests are provided with customised plans. It’s simply the most beautiful, calming place, from the living green wall in the atrium, to the light and spacious yoga room with floor to ceiling windows looking out over the lake. 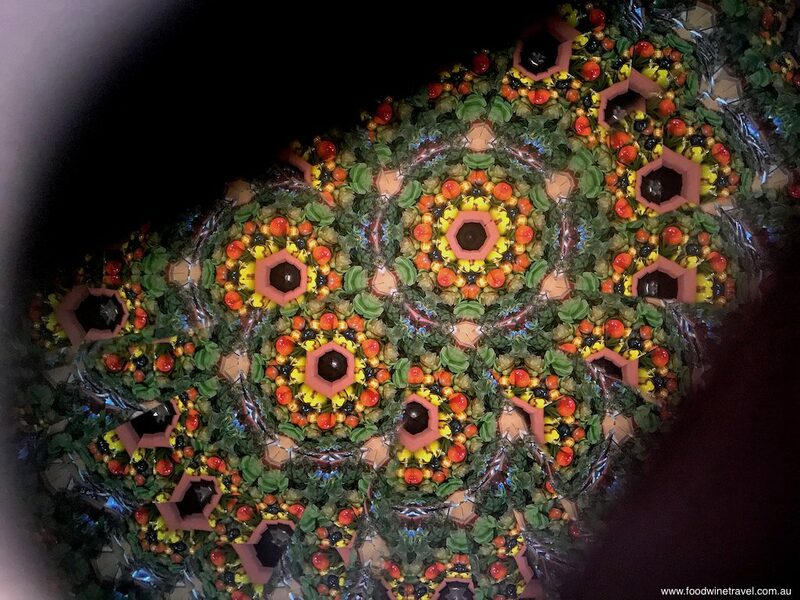 Wow, wow and more wow at the world’s largest kaleidoscope. Step inside this converted grain silo and lie down on your back to enjoy a 10-minute procession of colourful patterns inside the World’s Largest Kaleidoscope. Designed by 1960s psychedelic artist Isaac Abrams and his son Raphael, the 56-feet tall, 38-feet diameter kaleidoscope was finished in 1996. The show is utterly enthralling and after you’ve enjoyed it, spend some time in the gift shop looking at the diverse array of kaleidoscopes they have for sale. 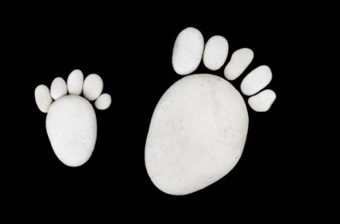 Many are works of art costing hundreds and even thousands of dollars. It takes an incredible amount of willpower to resist buying one of these beauties. 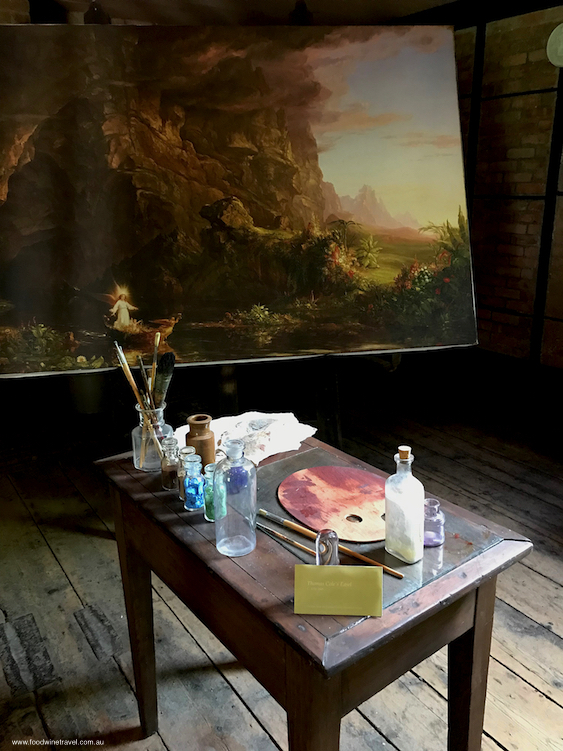 The studio of Thomas Cole, founder of the renowned Hudson River School of painting. Thomas Cole was a painter, poet, essayist, environmental protection advocate and founder of the renowned Hudson River School of painting. It’s almost like he has just walked out the door at Cedar Grove, his stately 19th century home with his top hat, painting easel, mementos and extraordinary array of paintings on display. Walk in the meticulously landscaped grounds and see the replica of his studio, reconstructed from the original 1840’s design. Docents bring the artist’s story to life and are a wealth of knowledge about his monumental impact on American art. Take a virtual tour of the Thomas Cole National Historic Site. “Springwood,” lifelong home of Franklin D. Roosevelt. 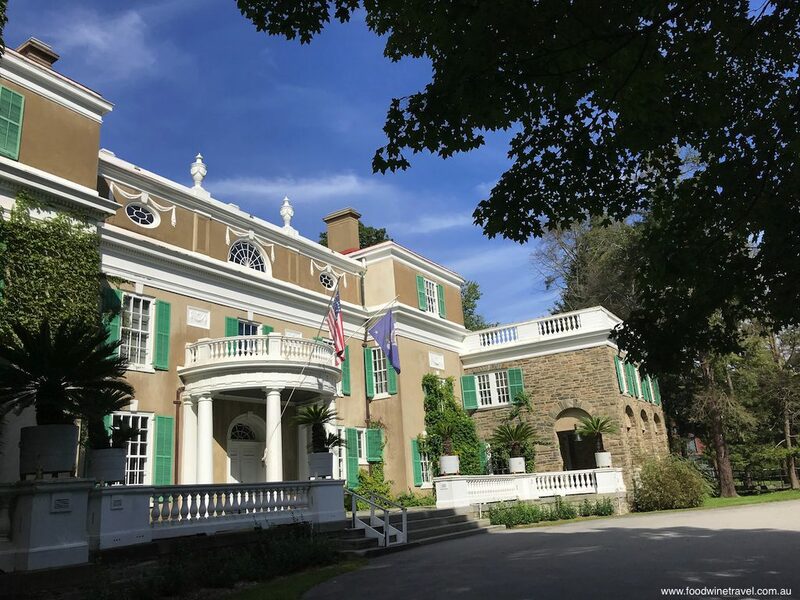 There are many historic homes in the Hudson Valley worth a visit but how do you choose between them? The answer is: with great difficulty! The 32nd President of the United States, Franklin D. Roosevelt, is quoted as having said, “All that is within me cries out to go back to my home on the Hudson River”. The place he was referring to was “Springwood”, the estate where he was born in 1880. It was his principal residence throughout his life and he was buried in the rose garden there after his death in 1945. His wife, Eleanor, was buried next to him in 1962. As well as taking a guided tour through the house, you can visit the Top Cottage where he entertained world leaders. You can also visit the Franklin D. Roosevelt Library, the nation’s first presidential library, built under his own direction on part of the Springwood estate. It’s a fascinating collection of documents, film footage and memorabilia recounting his life and his remarkable four terms in office. Dine at the renowned Culinary Institute of America. The Culinary Institute of America is the most influential culinary school in the U.S. When it re-located to Hyde Park in 1972, it put a spotlight on the Hudson Valley and began putting out a stream of well-trained chefs into the market, which accounts in part for why there are so many excellent restaurants in New York State. The institute regularly holds campus tours, educational sessions and one-day, weekend or week-long “boot camps”. 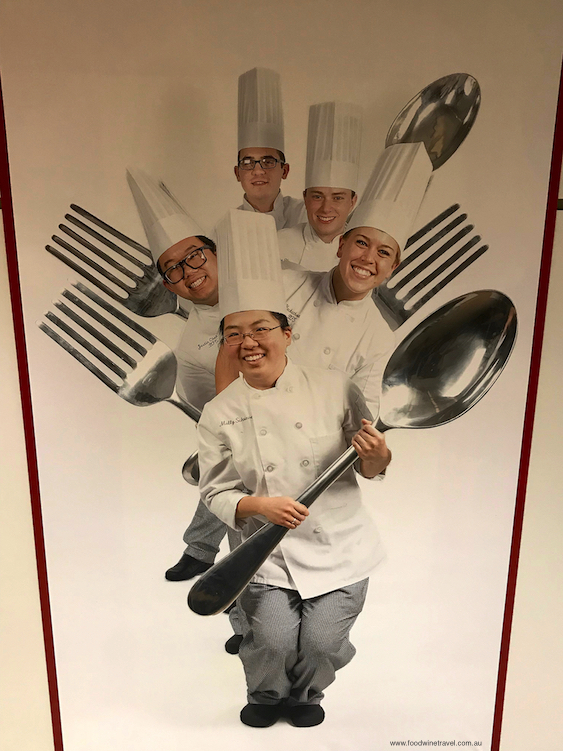 But the real thrill for foodies is dining in one of the 5 restaurants on campus, experiencing the students’ exquisite creations. Choose from The Bocuse Restaurant (fine dining), American Bounty Restaurant (all Hudson Valley food), Ristorante Caterina De Medici (Italian), Post Road Brewhouse, and Apple Pie Bakery Café. There is even a Moveable Feast that takes you to three of the restaurants all in one night. Here’s a tip though: Don’t go on a Monday night if you want to dine in one of the upscale restaurants. We had to dine in the Post Road Brewhouse, and while the pub fare and craft beers were good, it wasn’t the very special experience we’d hoped it might be. Sunnyside, the home of America’s first internationally-famous author, Washington Irving. Dubbed America’s “Founding Father of Literature”, Washington Irving was the first U.S. author to become famous internationally. 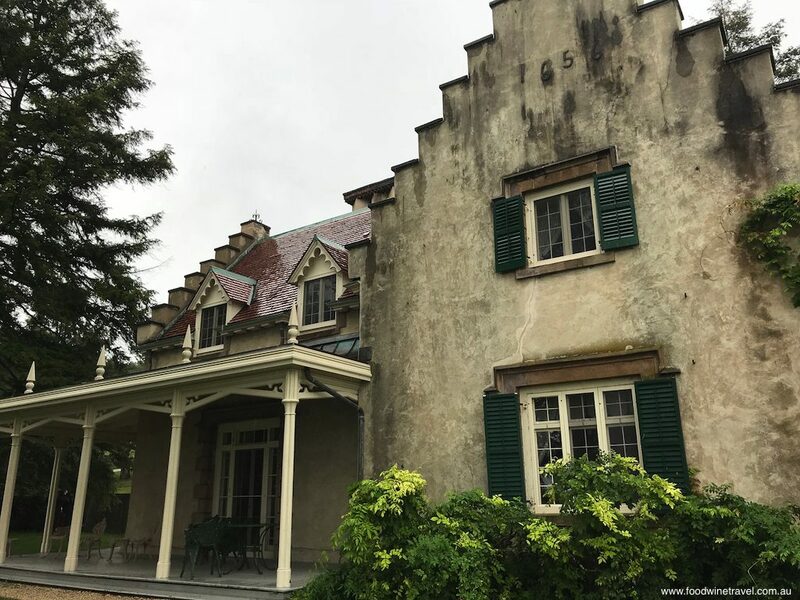 Known for The Legend of Sleepy Hollow, Rip Van Winkle and other stories set in the region, he created a romantic, picturesque estate on the banks of the Hudson River. Irving’s legacy lives on at his whimsical Sunnyside estate and you can take a guided tour through his enchanting home, built in 1835 in a Dutch gabled style with a date of ‘1656’ on the exterior – but that’s another story. Recycled timbers add a unique touch to Rivermarket Bar and Kitchen. Not saying that this is the best restaurant in New York State – there are many wonderful restaurants doing excellent food and wine – but I’m singling this one out because it ticks so many boxes: an exceptional wine list (350+ wines from all over the world); food that is seasonal, sustainable and beautifully presented; and a really good looking venue. 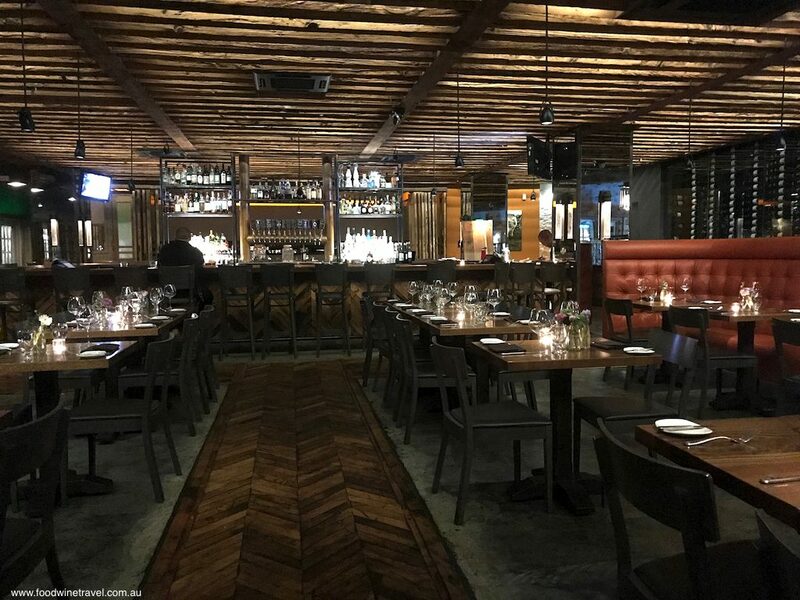 The interior design features extensive use of repurposed timbers including a 200-year-old maple chevron patterned floor, and a bar with a striking copper beer tower. Rivermarket draws on the fantastic produce of upstate New York for its woodfired pizzas, handmade pasta dishes and simple but beautifully cooked dishes such as Scallops with pea and wild mushroom risotto; Roast chicken with wild rice and asparagus; and Duck confit salad. Despite being a relatively casual restaurant, the whole experience made this one of the best meals I’ve had in the U.S.
Visit the I Love NY website for a whole lot of brilliant ideas for exploring this beautiful corner of the United States. 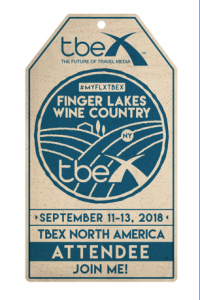 Many of these experiences were from tours organised in conjunction with TBEX, a travel blogging conference we attended in Corning, NY. With thanks to destination marketing organization Corning and the Southern Finger Lakes, I Love NY and all the associated regional marketing organizations for hosting my visit. Yet more to add to my list of places I have to go to! 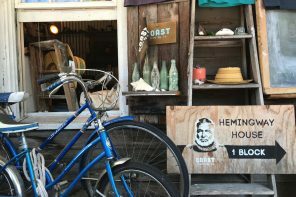 Thanks for sharing this blog, which have provided us an amazing list to visit in New York state. Great article Christine. Niagara Falls is definitely on our bucket list. New York state has so much to offer. Thanks Alan, New York State really does have so much to offer, doesn’t it. 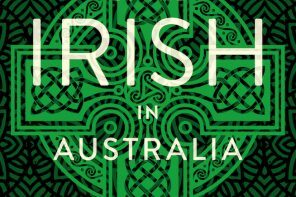 It’d be great to see more Aussie travellers venturing beyond NYC. Friday Food Tip #234: lychee appetizer.